Cleansing is crucial in order to maintain healthy skin. 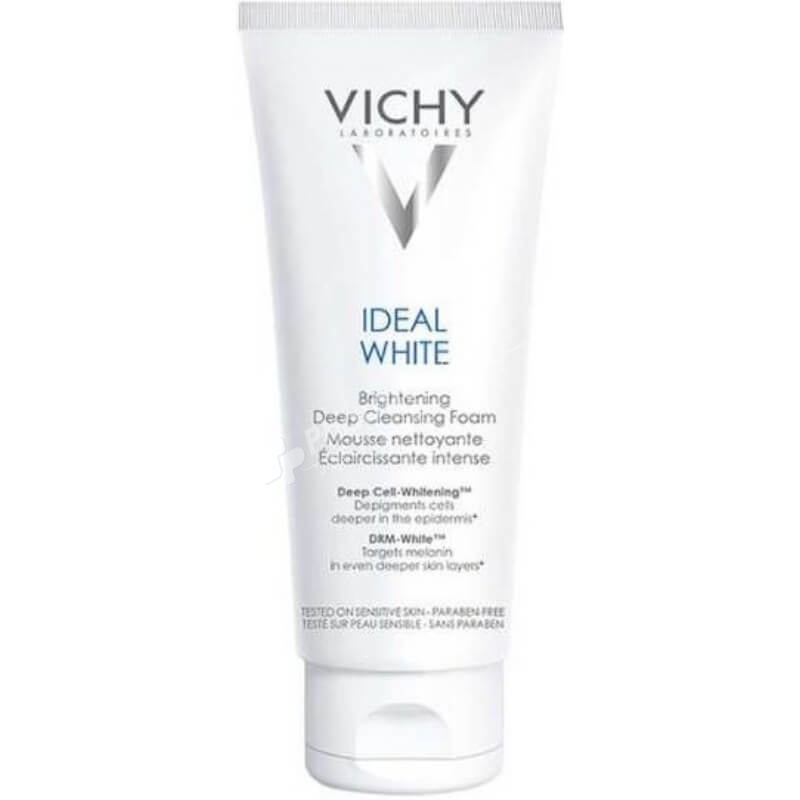 Pollution, UV rays and even make-up can leave skin dull and greasy, but Vichy's Ideal White Brightening Deep Cleansing Foam leaves skin feeling perfectly clean, soft and fresh. It also works on complexion flaws and pigmentation disorders, leaving your skin with a greater luminosity and transparency. Gently remove any impurities or residue thanks to its mild cleansing oils and high concentration of hydrating glycerin. Enhanced with skin-illuminating LHA + patented DRM-White™ technology to correct pigmentation disorders. Vichy Thermal Spa Water restores the skin’s natural pH levels – refreshing it with all the minerals it needs. Highly moisturising, cleansing the skin effectly without drying it out. Use twice daily, lathering with your palms and spreading evenly. Rinse thoroughly, avoiding the eye area.